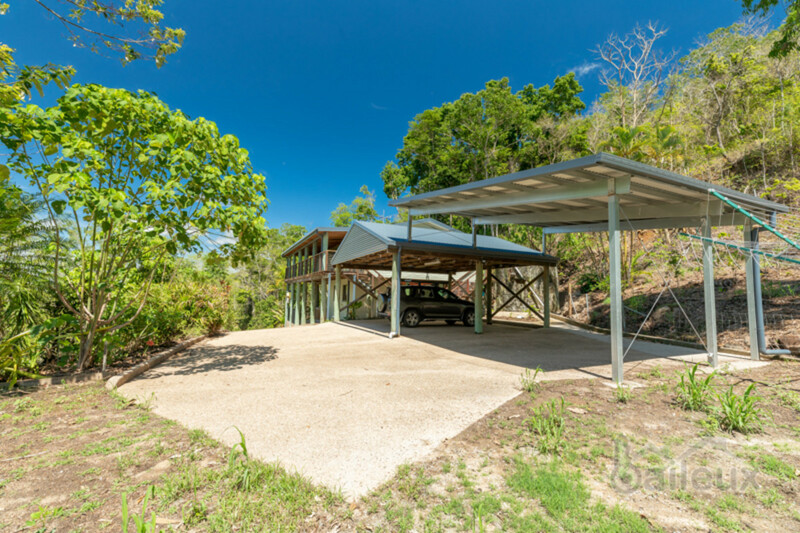 Secluded hill side location with stunning scenic views that look towards Proserpine and Repulse Bay. 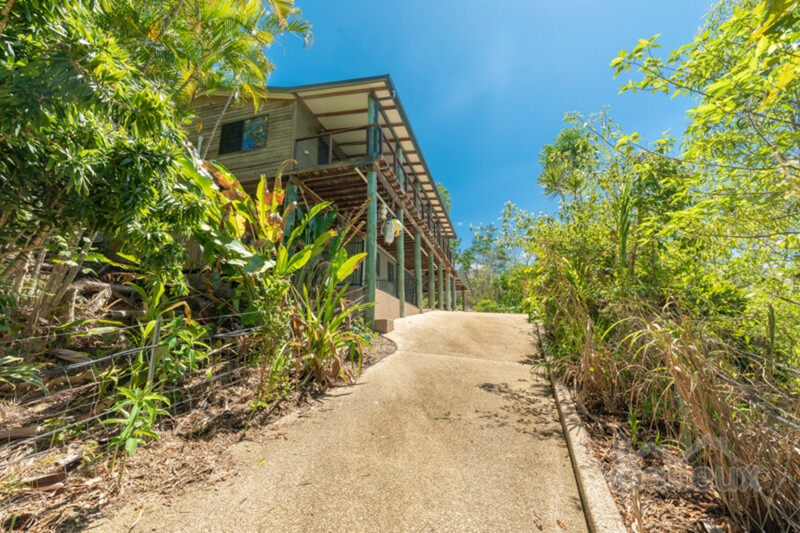 On 16.5 acres you are surrounded by beautiful rainforest, native plants and a variety of fruit trees. 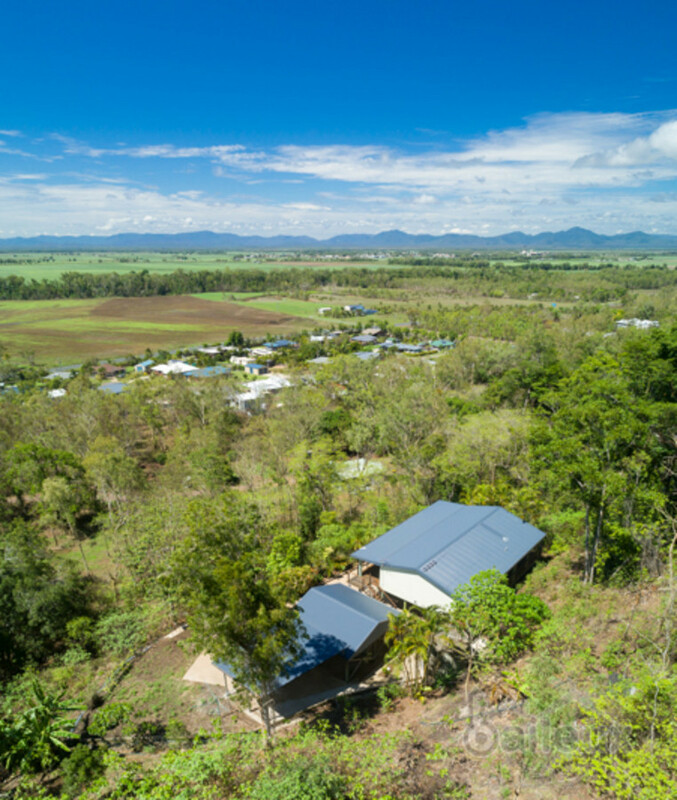 There is even two ‘in-season’ creeks that flow through the property during the wet season. 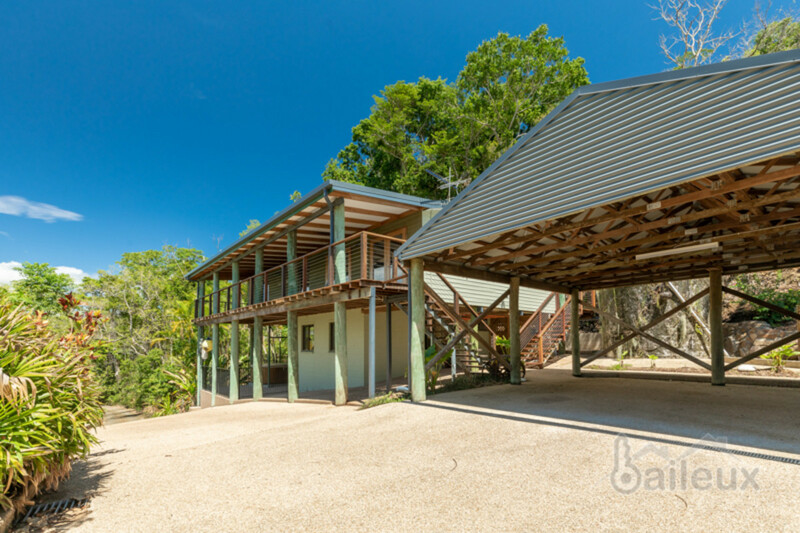 This is an absolute dream property if you are looking for space and privacy. 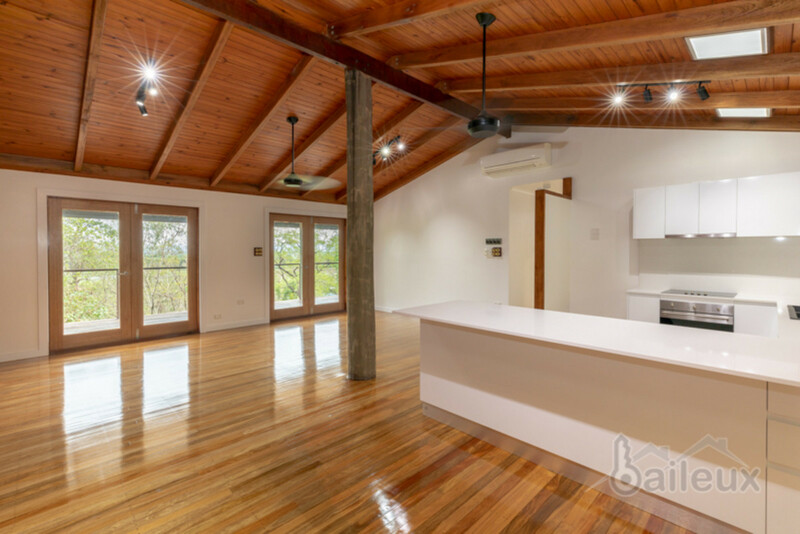 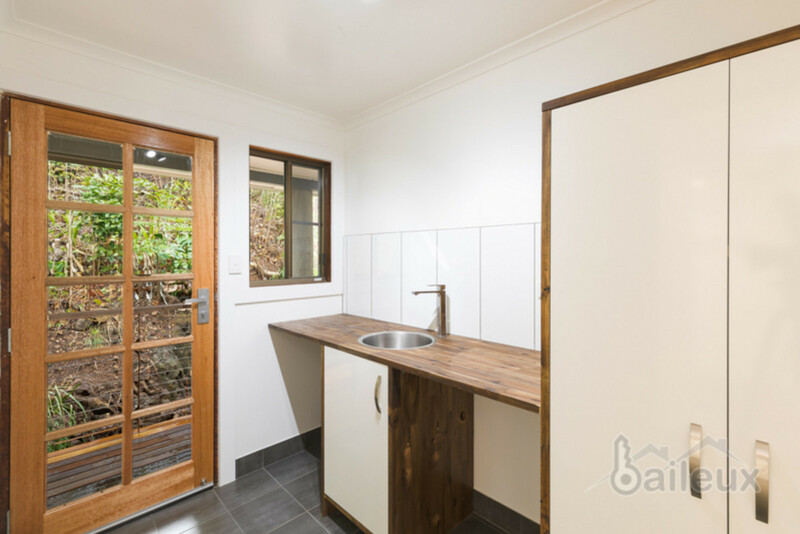 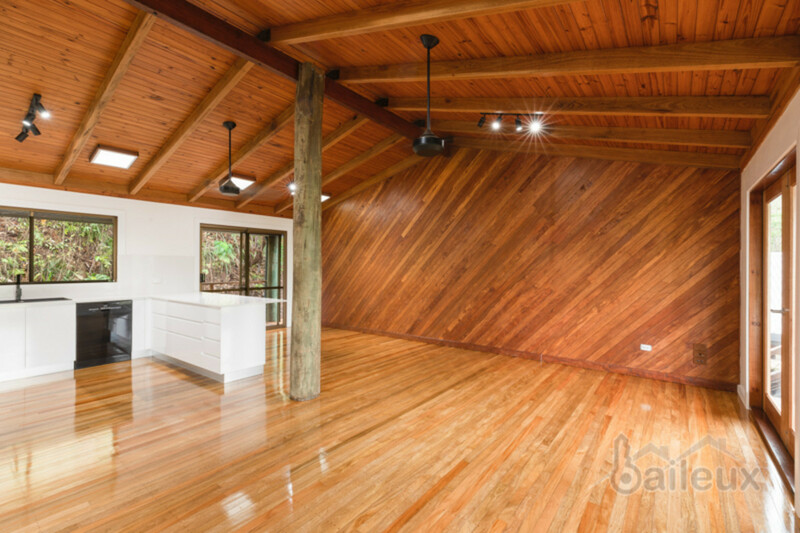 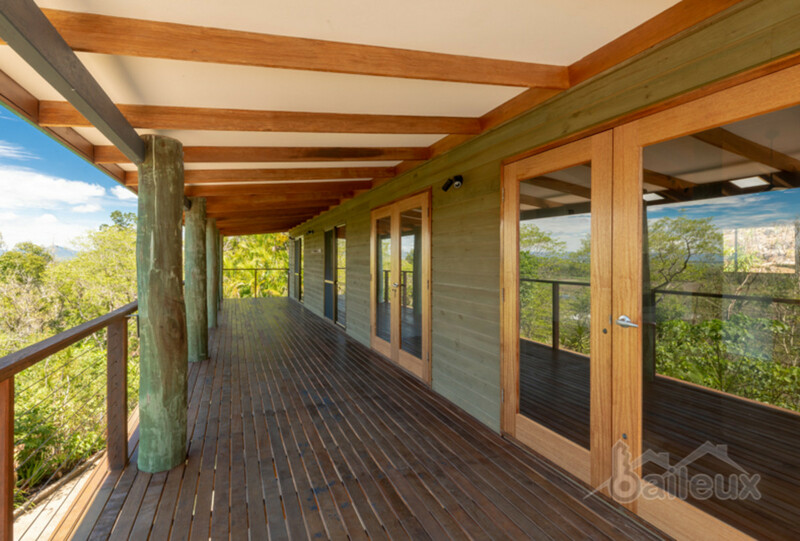 The dual level home has loads of character including Mackay cedar timber, high ceilings with exposed beams throughout, stylish fully renovated bathrooms and kitchen and outdoor spa. 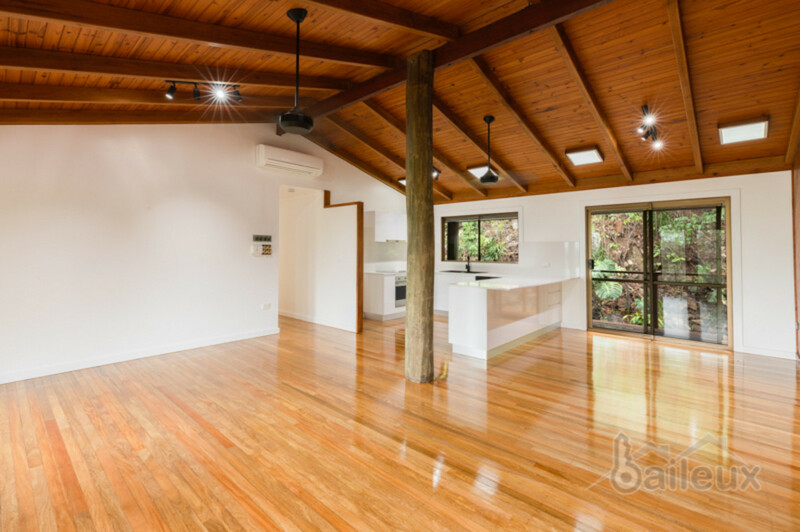 This beautiful property ticks so many boxes!! 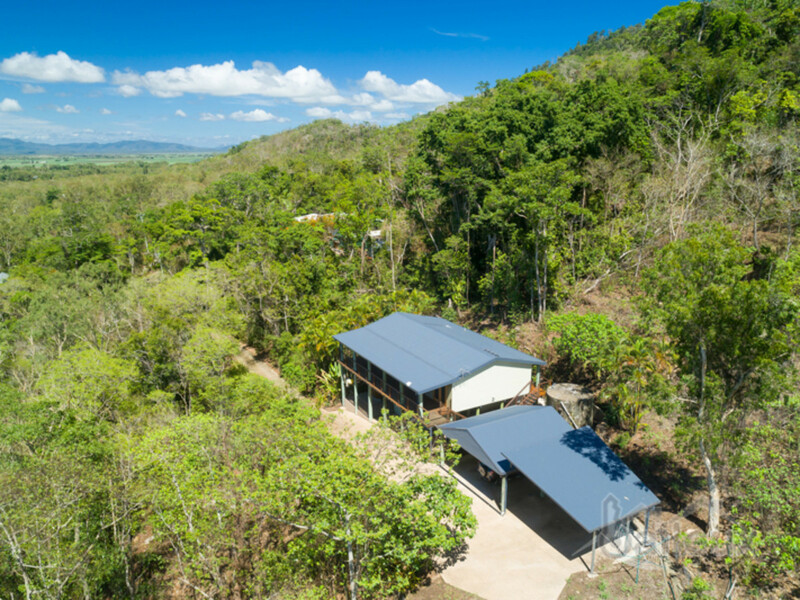 The heart of the home is the open planned living, dining and kitchen with large windows that capture the amazing views out towards the valley, overlooking the areas natural rainforest. 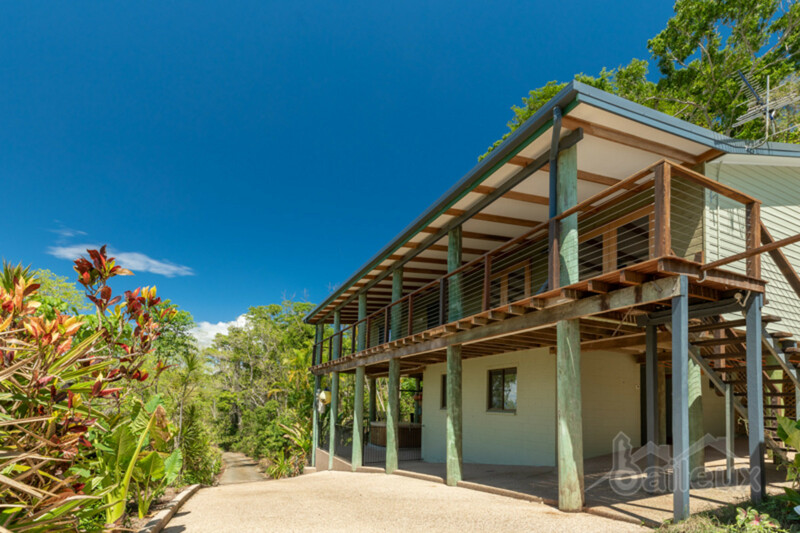 Two of the three spacious bedrooms also enjoy views and are located on the upper level with an envious teenager’s retreat or impressive guest quarters situated on the lower level next to the spa area. 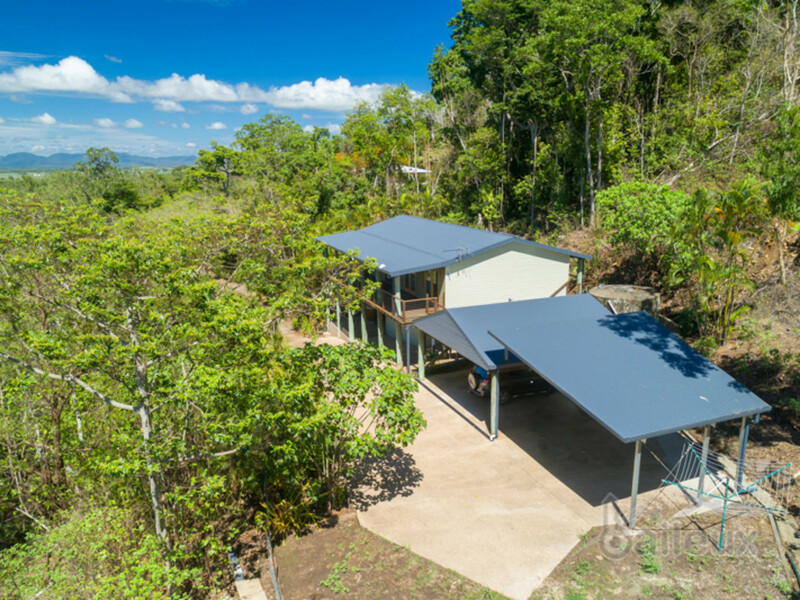 1 large rainwater tanks (25,000L), a heat pumping hot water system which is also a power saving unit, along with a bore on the property (already plumbed into the house). 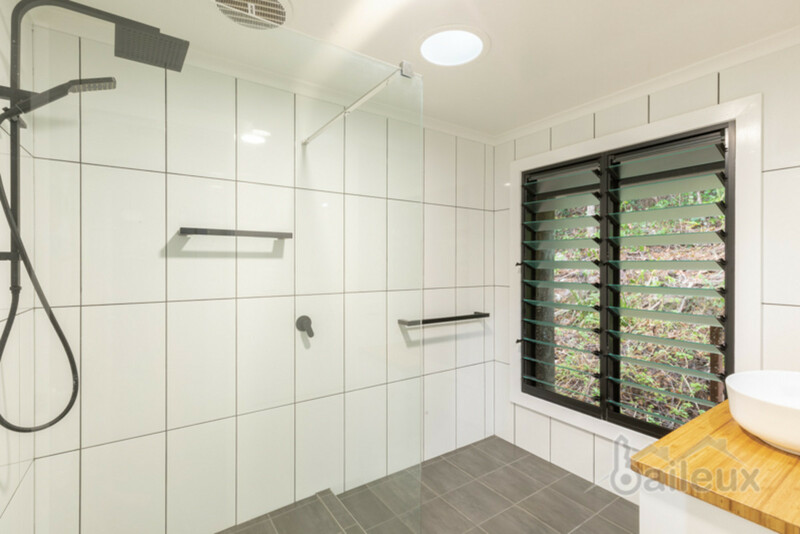 The sprinkler system in the gardens is also connected. 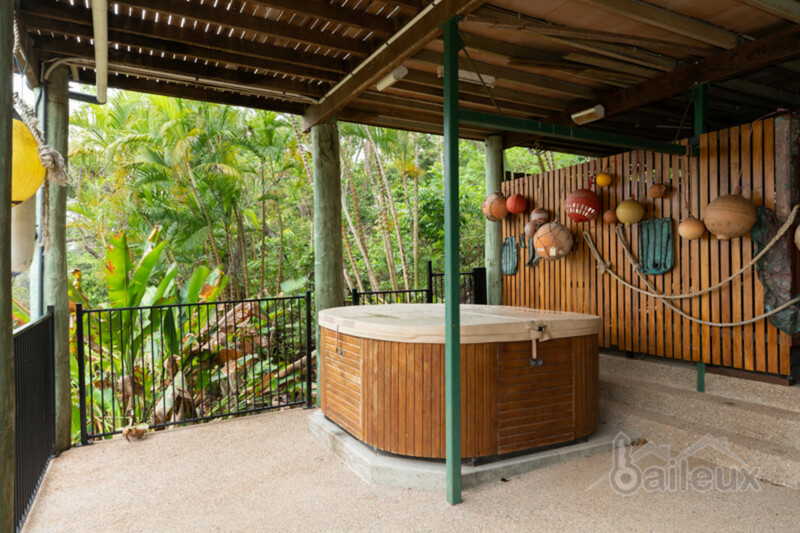 – Exotic tropical fruit trees including jackfruit, lycees, custard apple, black sapote, lime, avocado and mango. 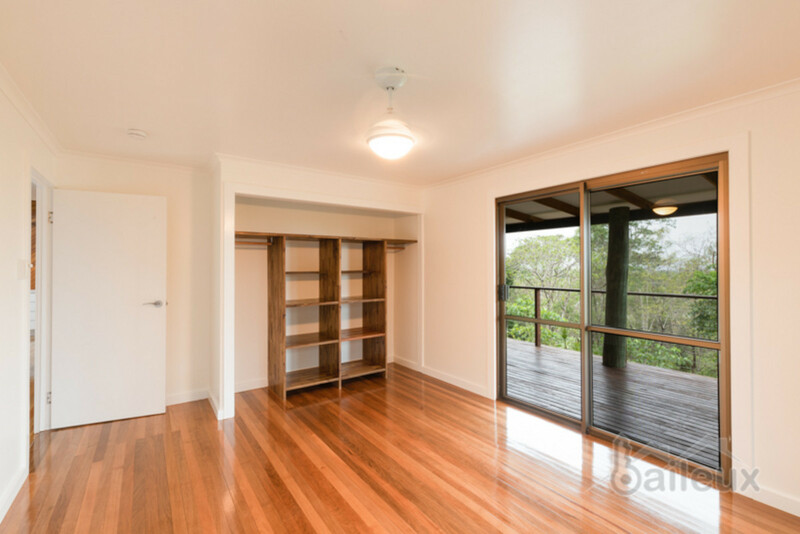 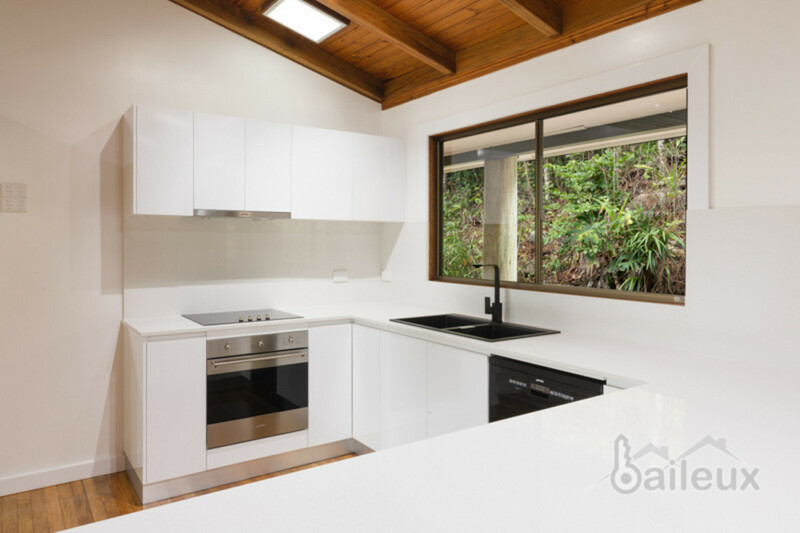 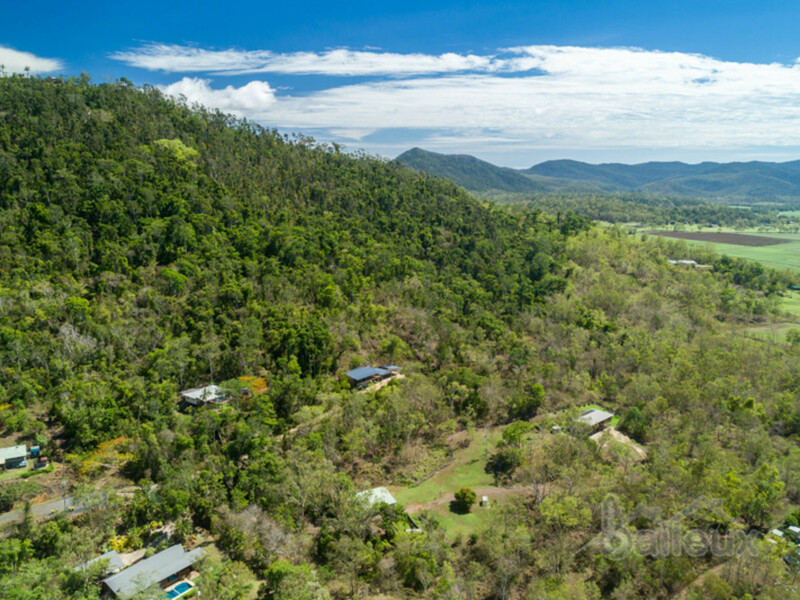 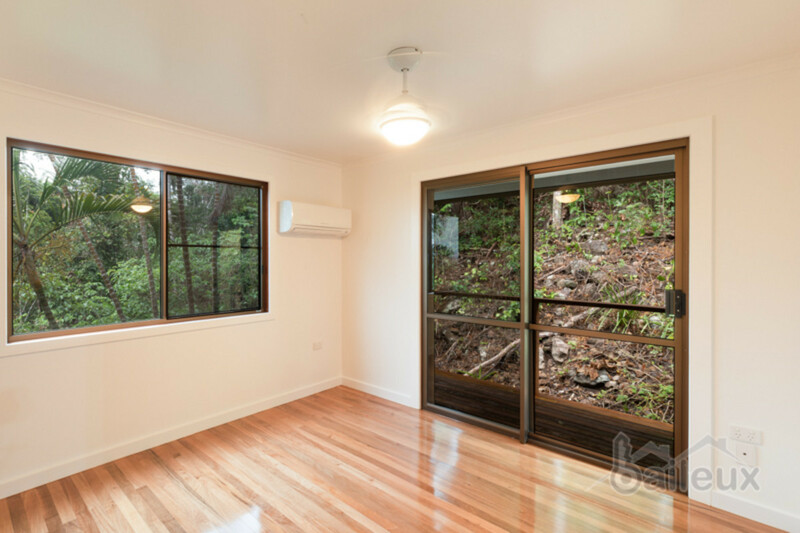 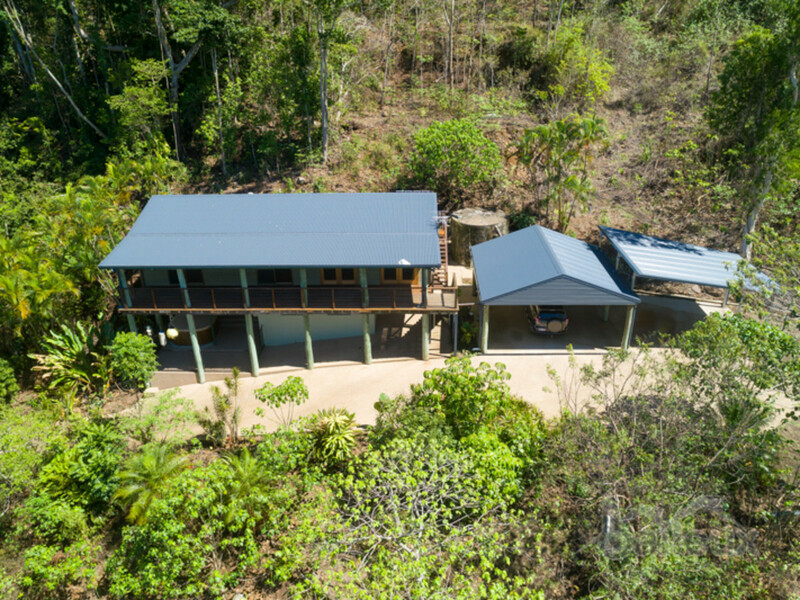 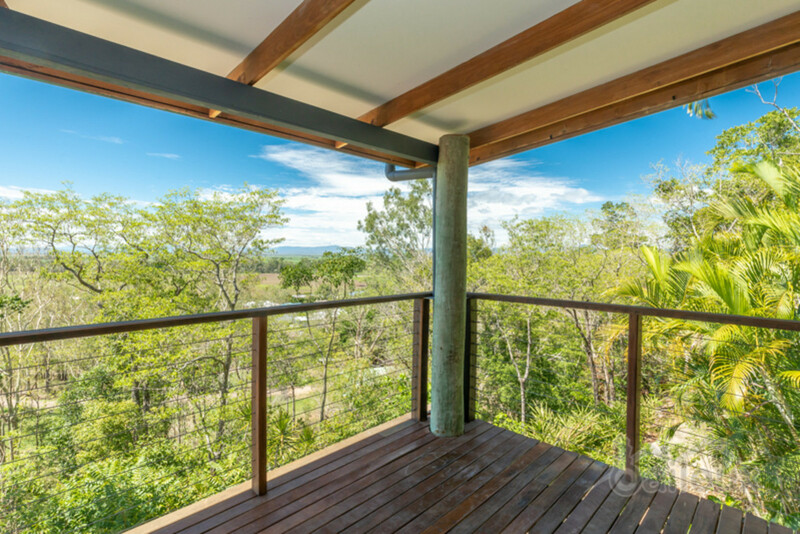 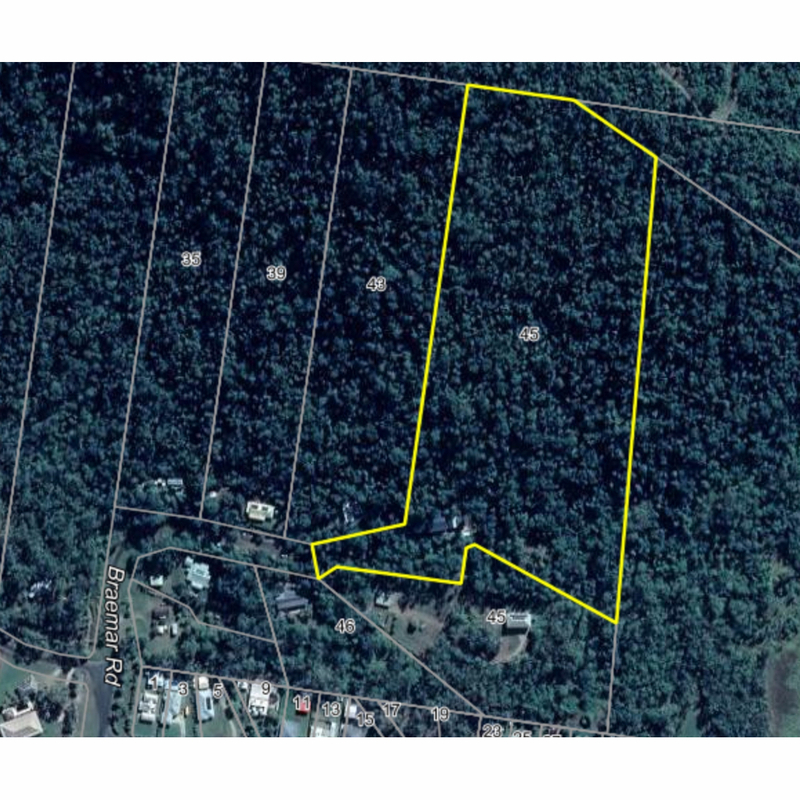 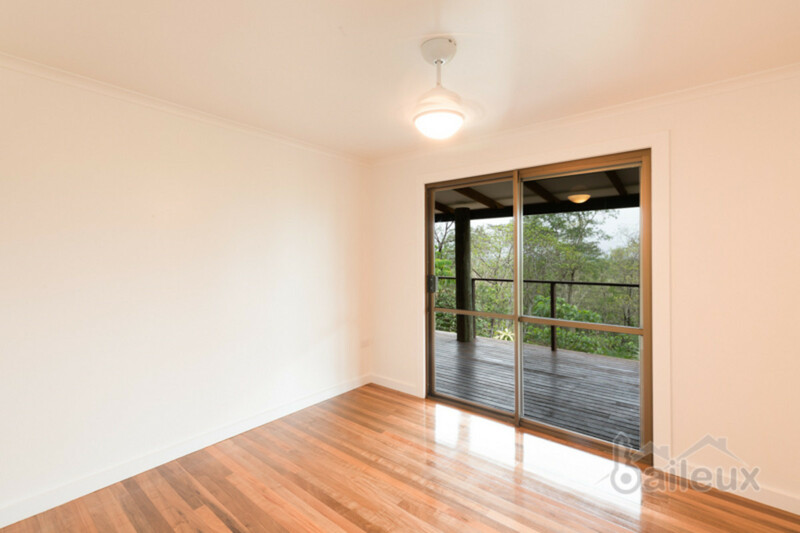 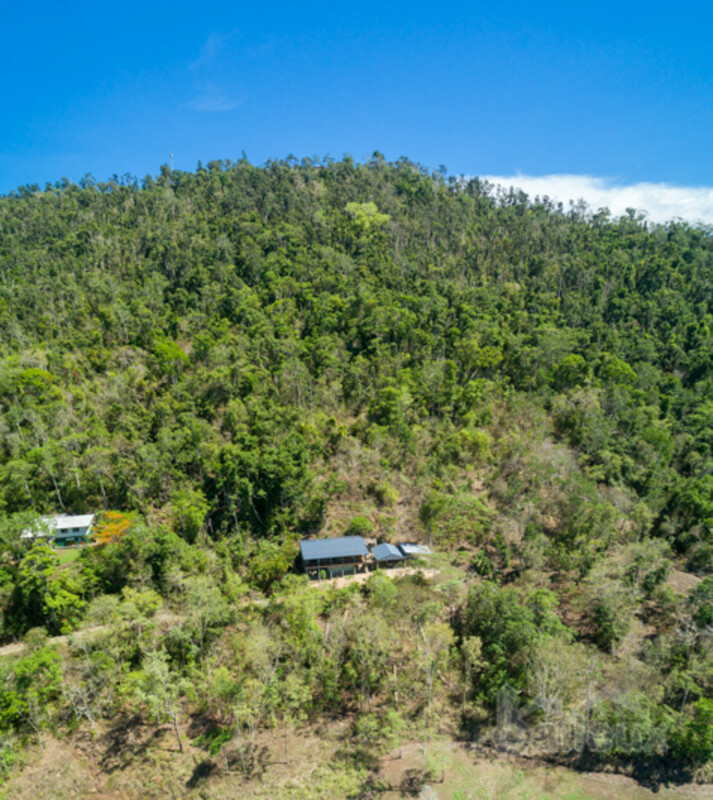 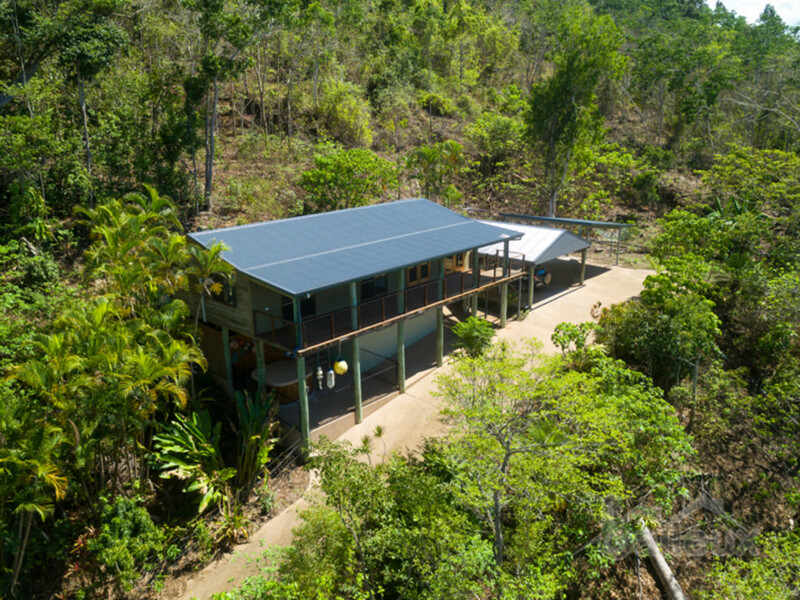 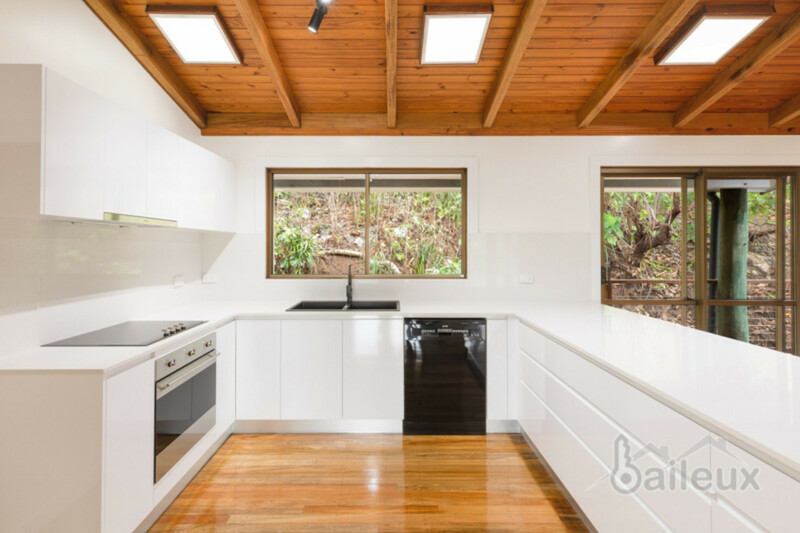 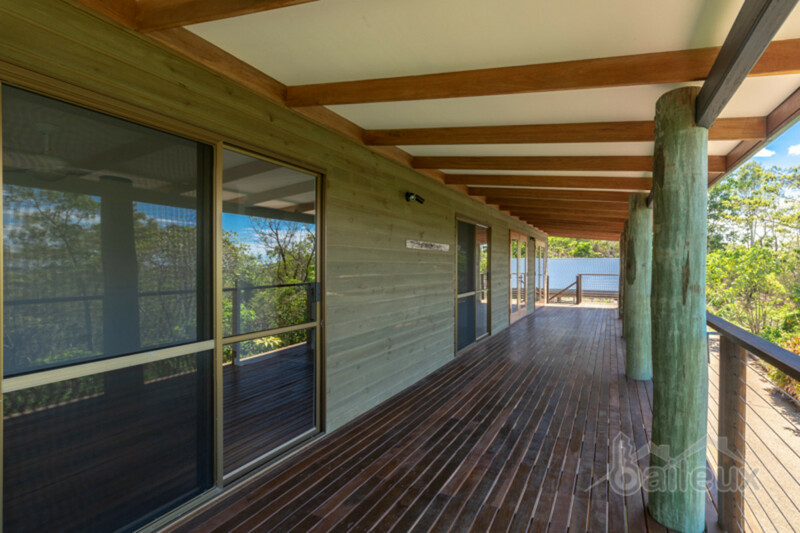 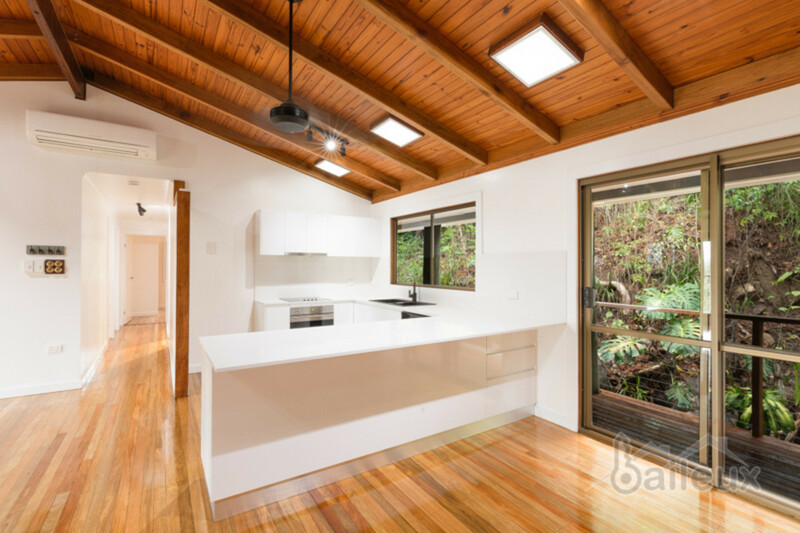 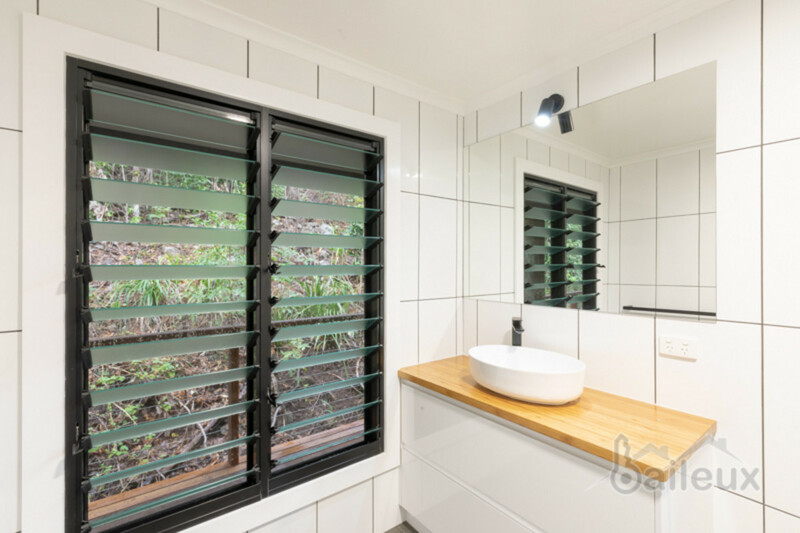 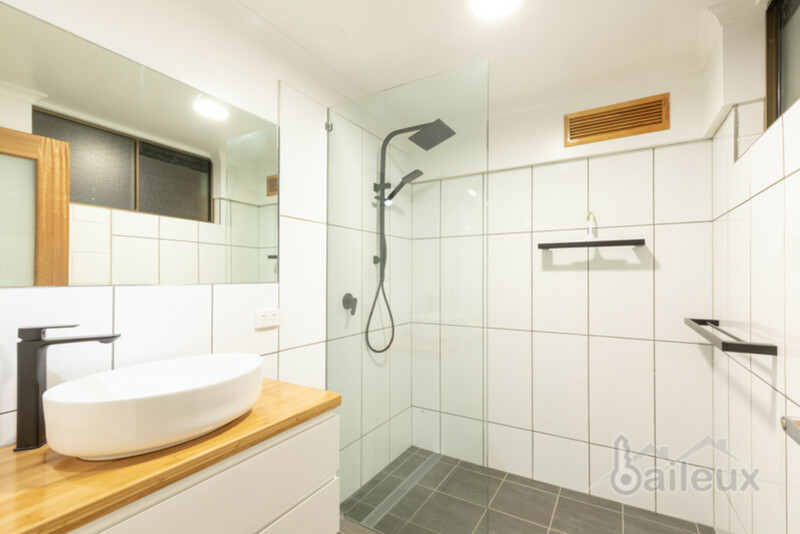 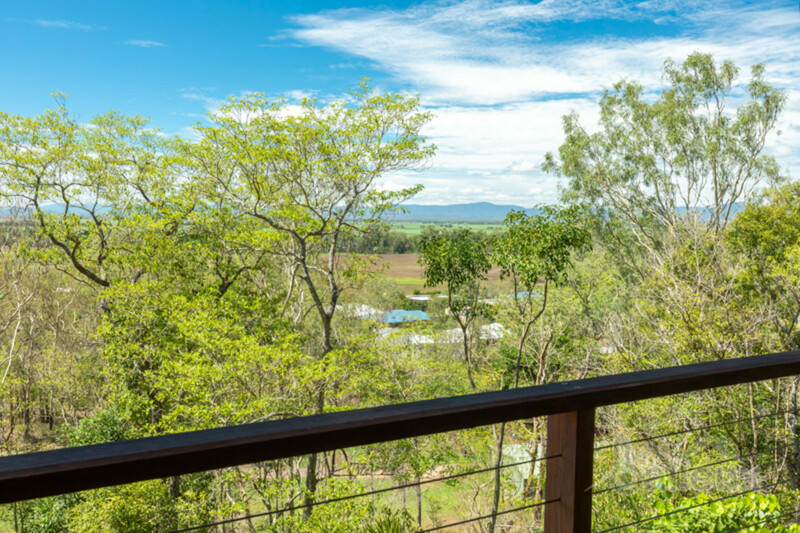 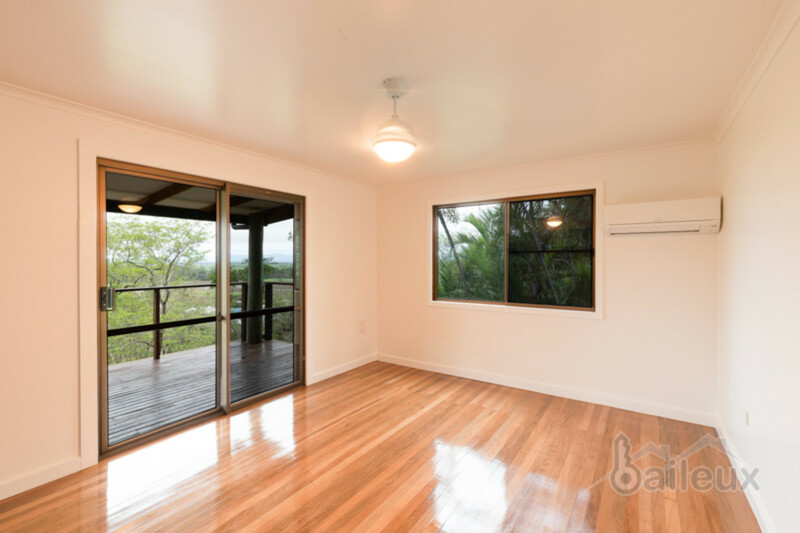 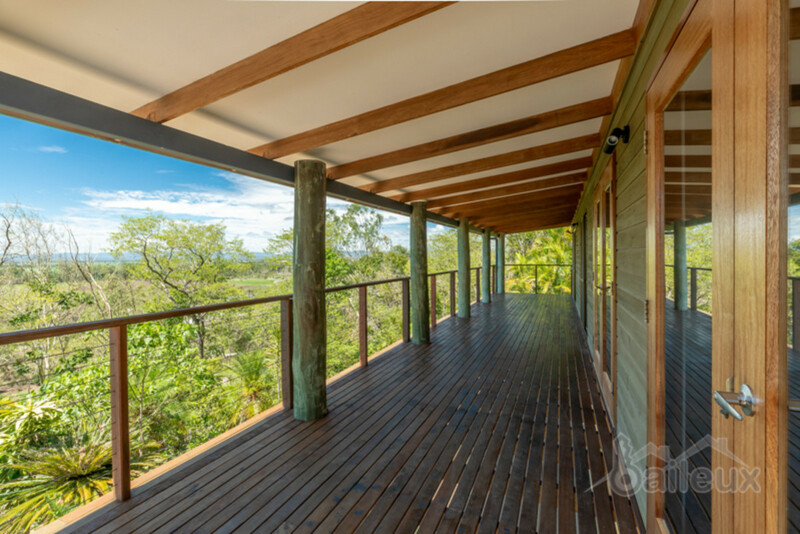 This home is so secluded and quiet that at certain times of the day you can hear nothing but nature but is only a short drive to the Cannonvale shopping precinct and tourist wonderland of Airlie Beach. 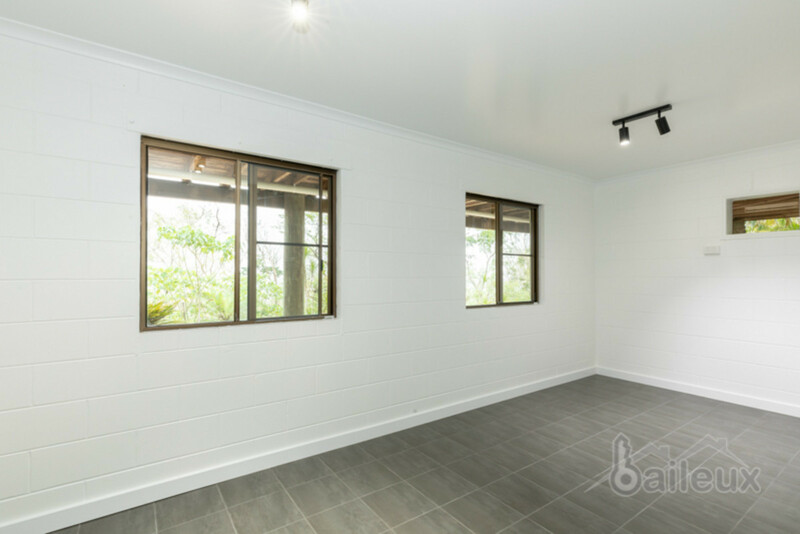 Another bonus is the bus stop is only a short walk down on Braemar Road, conveniently located for school pick up and drop off. 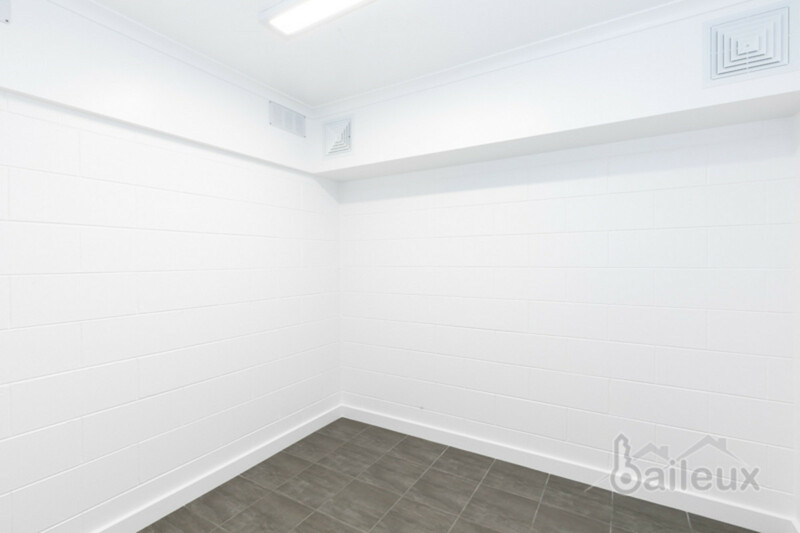 This is a property where you can just about have your cake and eat it too! 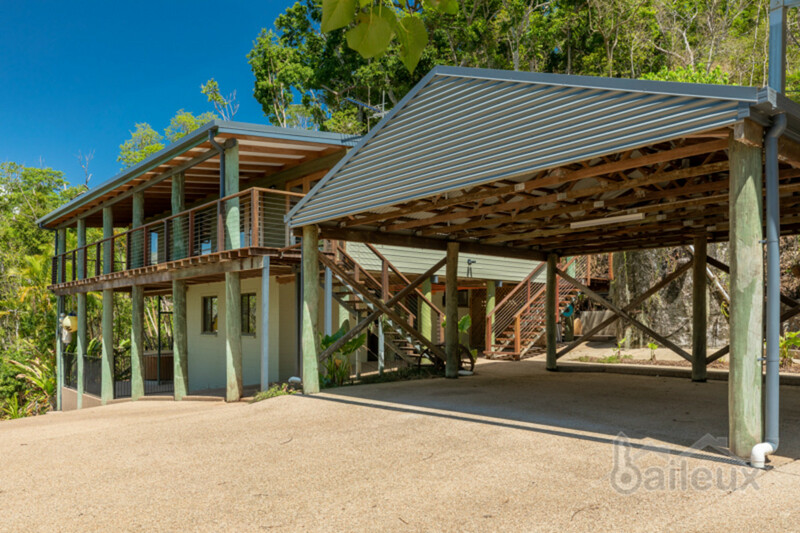 Contact Benjamin from Baileux today to arrange your inspection to this piece of paradise.